Hungarians are polarised on the refugees making the journey to Europe. Hardliners support the government’s tough approach to curbing immigration, as do a large number of ordinary people. But many others are ashamed by what is happening, explains Tamas Bodoky. 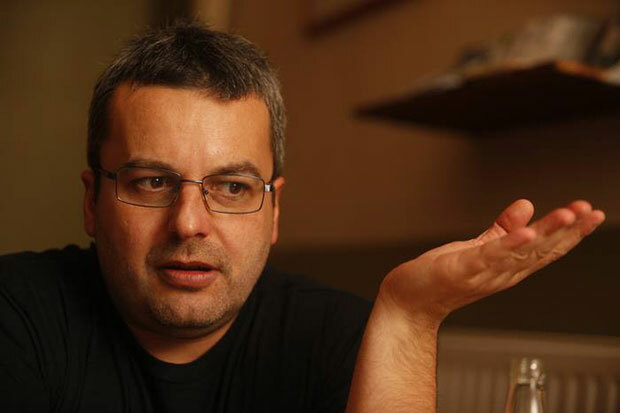 The founder of Atlatszo, Index on Censorship’s award winner for digital activism in 2015, Bodoky blames the situation on the government’s campaign of painting migrants as dangerous enemies. “The mainstream and pro-government press is full of scaremongering, claiming refugees are terrorists, that they carry diseases and are taking work away from Hungarian people,” he says. In a departure for the data-driven investigative journalism and freedom of information organisation, Atlatszo has been covering the human side of the situation by reporting on the experiences and views of asylum seekers since the government began trying to halt the flow of refugees in July. Bodoky and his team have covered conditions at the border and some travelled to Turkey to look at how refugees are crossing the Mediterranean. “We have interviewed a lot of people at train stations and other ports,” Bodoky explains. Early last month, Bodoky put together a short documentary capturing the chaotic events of 4 September 2015, when approximately 2,000 refugees attempted to walk from Budapest to Austria. They had been stuck in the Hungarian capital for days, many of them stranded in train stations without help. Late that night, after walking about 30 km, they were finally put on buses and taken to the Austrian border. Since Index last spoke to Bodoky in June, the Hungarian government has — for the second time since 2010 — changed the law regarding freedom of information requests, which Atlatszo relies heavily on for its investigative work. “They are charging fees so people won’t file so many requests,” says Bodoky, adding that while Atlatszo isn’t very happy with the situation, it won’t be deterred. “We will pay the small fee and continue to make requests, but citizens and activists who have started to use freedom of information quite a lot may not want or be able to,” he says. Atlatszo’s readership has been steadily rising and the publication is now over 50% crowdfunded. Around 3,000 donors contribute monthly and the amount of money raised from the 1% of income tax Hungarian citizens can donate to NGOs they sympathise with has tripled for Atlatszo since last year. Winning the Index Digital Activism Award has helped Atlatszo gain international attention. “We get a lot of press requests for quotes on important issues in Hungary,” says Bodoky. Staffers at Atlatszo have been acting as a source on the refugee crisis for international media outlets such The Guardian and have appeared on Al Jazeera’s Listening Post, a weekly programme examining the world’s media. In the coming months, Bodoky says Atlatszo will “continue to work on anti-corruption, with articles on state subsidies and budget spending, which is our core business, and of course on the migrant crisis”. 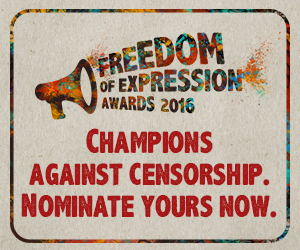 Nominations for the 2016 Index on Censorship Freedom of Expression Awards are currently open. Act now. Ryan McChrystal is Assistant Editor, Online at Index on Censorship, where he provides support for the news and online team in addition to creating content. He has previously held various editorial roles, including as a local reporter, a market reporter and most recently as a features writer at an SME-focused magazine. He graduated in history and politics from Queen’s University, Belfast.